It’s party time! Well almost… anyone else super duper ready for Thanksgiving? I know I am. I can smell all the tasty deliciousness right now. 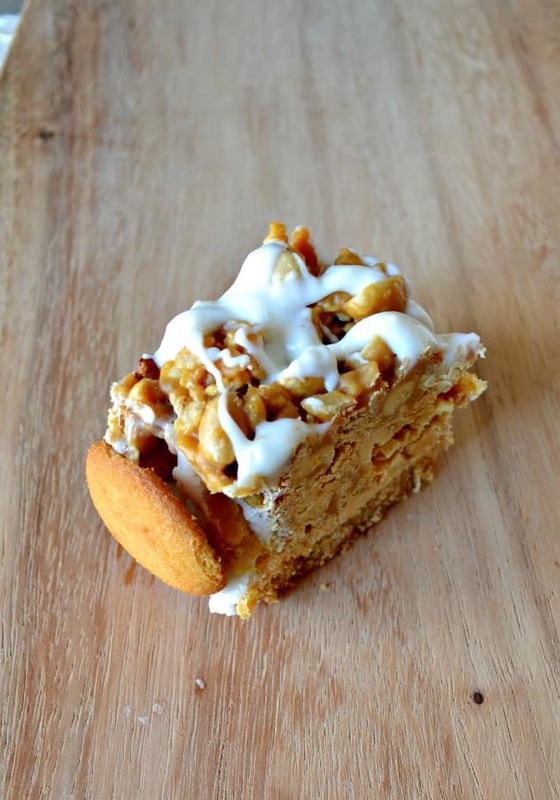 Today I want to share with you a treat you will definitely want on your table. 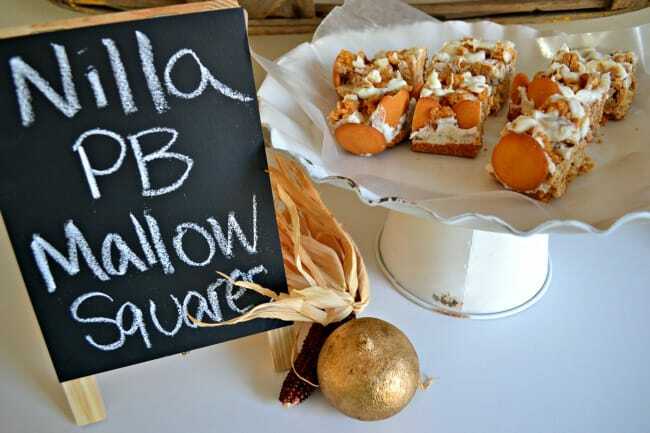 These Nilla Peanut Butter Mallow squares are full of all kinds of goodness. 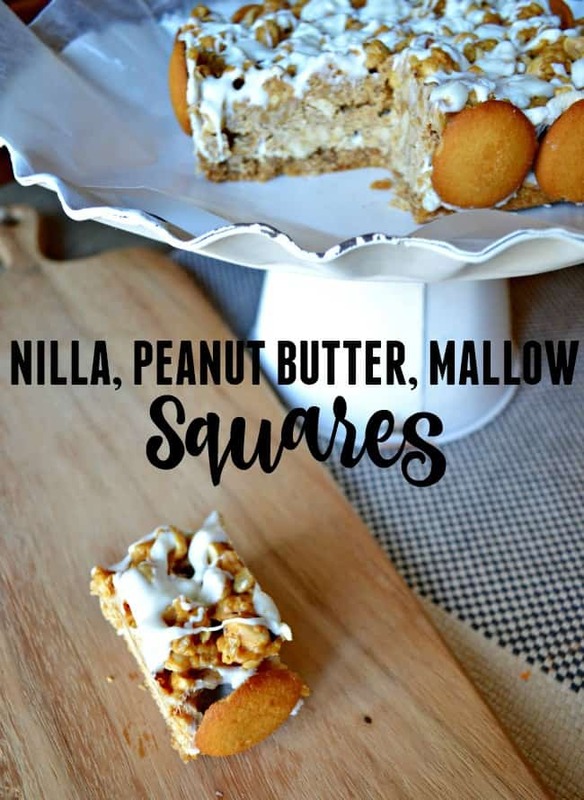 What you Need for Nilla Peanut Butter Mallow Squares! Line 9 inch square pan with foil, with ends of foil extending over the edges. Reserve 20 wafers; finely crush remaining wafers.Melt 5 tbsps. 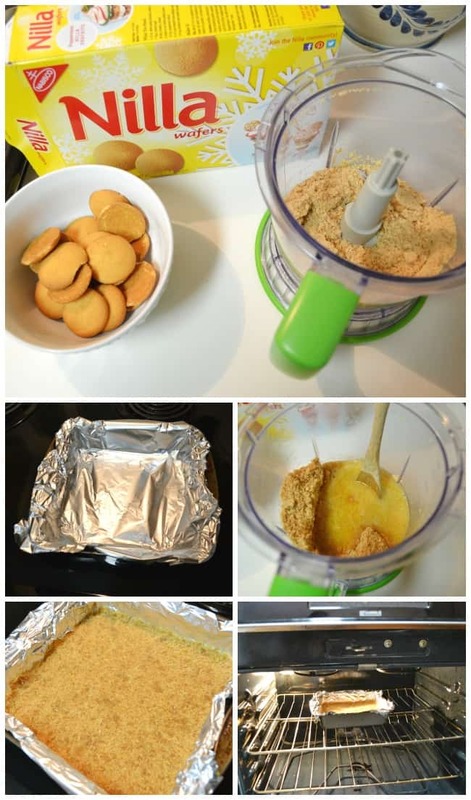 butter; mix with wafer crumbs. Press on bottom of prepared pan. Bake 10 minutes. Stand remaining wafers, top sides out, across sides of pan. Sprinkle marshmallows over crust. Bake 3 to 5 minutes or until marshmallows are puffed. Meanwhile, microwave peanut butter chips, honey and remaining butter (1 tbsp.) in microwavable bowl on HIGH for 1 minute and 15 seconds or until chips are completely melted and mixture is well blended, stirring after 1 minute. Add nuts and cereal; mix well. 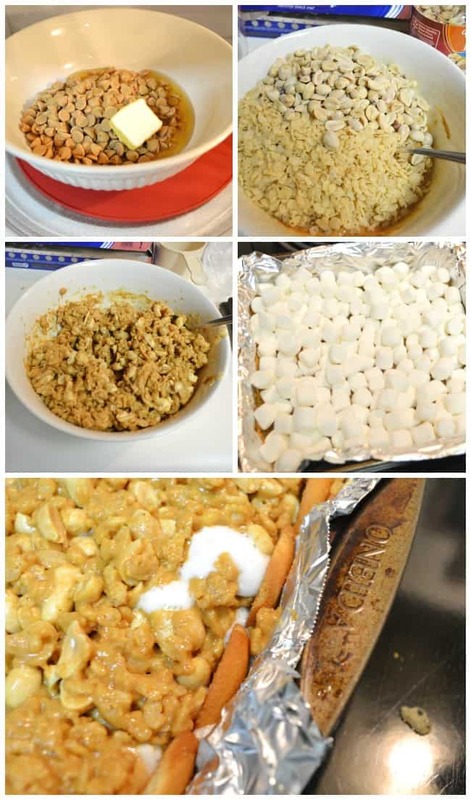 Press peanut butter mixture over marshmallows to completely cover marshmallows. Refrigerate 2 hours. Melt chocolate as directed on package; drizzle over dessert. Let stand until chocolate is firm. 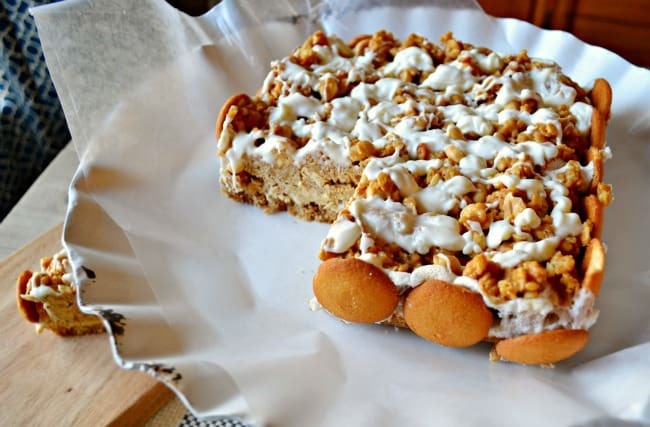 Use foil handles to remove dessert from pan before cutting into squares. 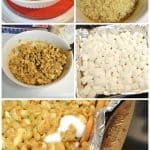 Variation: Prepare using 1 pkg. (10 oz.) regular marshmallows, arranging marshmallows in a single layer over crust before baking as directed. Tips for hosting the big day! Thanksgiving dinner can be overwhelming to say the least, but it doesn’t have to be! Make it a breeze with these clever ideas and tips. Plan your menu! Figure out what’s on the menu and don’t be afraid to ask others to bring a dish. Make ahead! If you can make a dish ahead of time do so. Serve what you like to eat! If you aren’t big on traditional Thanksgiving foods don’t feel like you have to eat that. Thanksgiving isn’t about the food (although I love it) but really Thanksgiving is about being thankful for your family and friends. It doesn’t matter if you do that eating tacos, just enjoy time with each other. Do store bought! If I can save minutes spent in the kitchen then I am game. Pick up an already made pie or you could even have the turkey made at a local restaurant. Offer snacks! This will help keep your guest busy and occupied while you finish up the inevitable last minute things in the kitchen. Occupy the kids! It never fails for the “is it done yet” question to come up. Plan a craft or two to keep the kiddos busy. End on a good note! 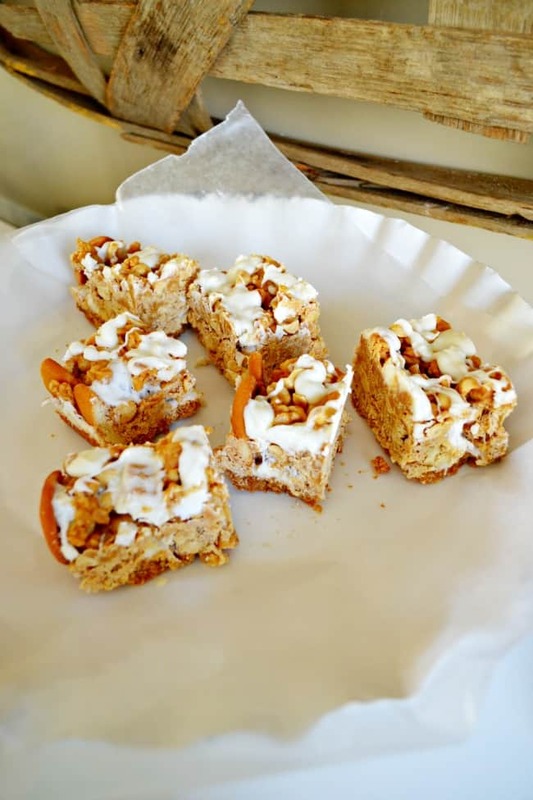 Send your guests home with these yummy squares for a tasty treat. Just make sure you make enough because they won’t last long. 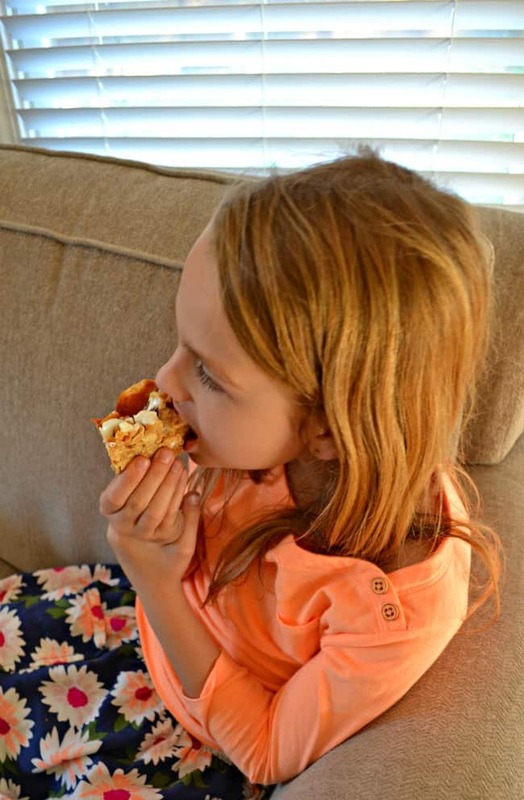 Good thing you can save on Nabisco products, visit NABISCO Party Planner and find more themed holiday recipes from NABISCO as well as coupons savings at Publix. Line 9-inch square pan with foil, with ends of foil extending over sides. Reserve 20 wafers; finely crush remaining wafers. Melt 5 Tbsp. butter; mix with wafer crumbs. Press onto bottom of prepared pan. Bake 10 min. Stand remaining wafers, top sides out, around sides of pan. Sprinkle marshmallows over crust. Bake 3 to 5 min. or until marshmallows are puffed. Meanwhile, microwave peanut butter chips, honey and remaining butter in microwaveable bowl on HIGH 1 min. 15 sec. or until chips are completely melted and mixture is well blended, stirring after 1 min. Add nuts and cereal; mix well. How to make pillows out of placemats.